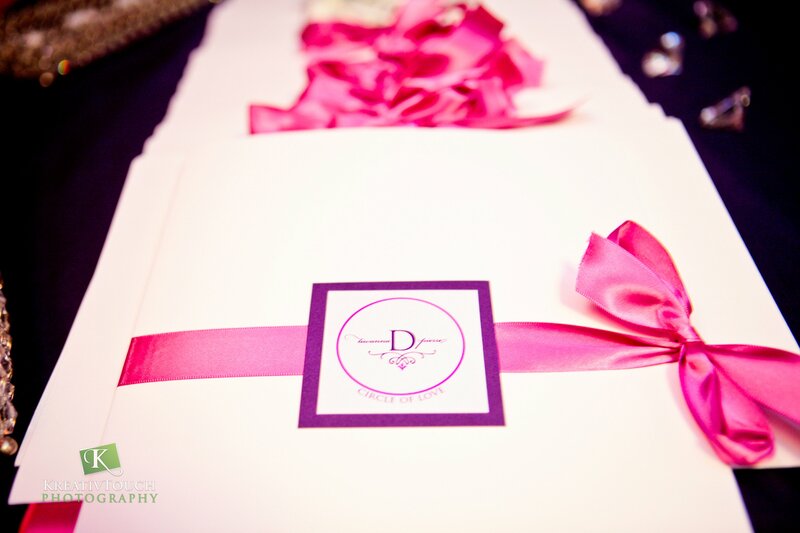 As you well know, we love providing custom wedding stationery for our wonderful brides and grooms. We especially love when we are able to create custom pieces from the very beginning of the bride and groom’s journey all the way through their wedding day. We have this opportunity with one of our 2011 brides, Tiwanna Bryant. We are so excited to serve her and her fiance as they embark on their wedding journey. They recently celebrated their engagement with family and friends and we had the pleasure to design a few unique pieces to enhance their celebration. Their wedding planner, Kenya Milligan of Precious Moments by Kenya, planned an engagement party with a Circle of Love theme. We designed unique chair covers, custom packets for the bridal party members, and invitations for this most special occasion. The hues of purple and pink came together beautifully and provided the perfect exit from summer and the entrance into the fall season. 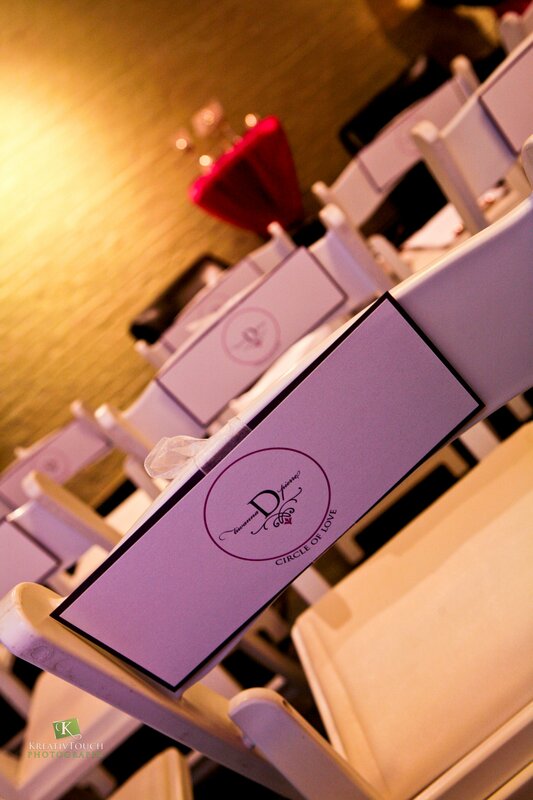 We look forward with great anticipation to the other stationery that will come forth for this beautiful couple! Special thanks to KreativTouch Photography. All photos are copyright protected and may not be used without permission.